To celebrate the release of her third book, Janet Gurtler is here today to talk about writing, sea creatures, and more! With Who I Kissed being your third published book, how has the writing and revision process changed from when you I'm Not Her? Well, hopefully I am learning about craft along the way. I don’t know that the process has changed that much except I think my first drafts are more drawn out. I find that with a 3 book contract, which I was lucky enough to sign with Sourcebooks, that I need to write faster and revise faster. I kind of like deadlines though. I function better when I have a deadline to meet. Hectic but motivating! 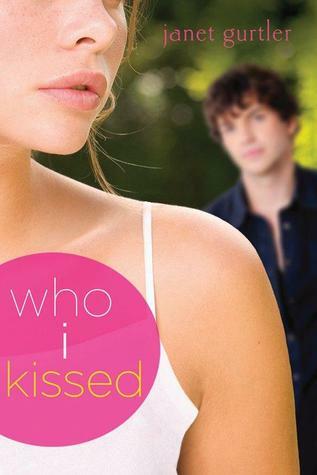 Which character in Who I Kissed was the hardest for you to write and develop? Have they been the hardest of all your characters to date? It was hard for me to develop the character of Alex. Though he dies in the opening (which isn’t a spoiler) I still had to show him as a person which I did through television interviews and through the eyes of other characters. A friend of mine actually lost a son who was a little younger than Alex, but it was pretty harrowing to make myself go to that place in my head. I felt really bad for all that Alex might have been but couldn’t be. I think as a mother the thought of losing a child is about as hard as it can get. I do NOT allow my head to go there with my own child.Alex’s mom and Alex were probably the most difficult characters I have written to date. Actually there was one other character, a girl in WAITING TO SCORE, which I published under a pseudonym in 2009. Her name was Mona and she completely broke my heart. If you could pair Samantha with any character in any book, who would it be? As friends, I would love her to hang out with Ashley from IF I TELL. Ashley was a swimmer in IF I TELL (and she actually swam on the same team as Sam!) I think they would be great friends. Both kind, nice people who are super dedicated to the sport of swimming. What kind of sea creature would you describe yourself as? An oyster. Sometimes I close myself off from the world, but inside I am turning things into sparkly jewels. Hahaha me too! Its such a good one!